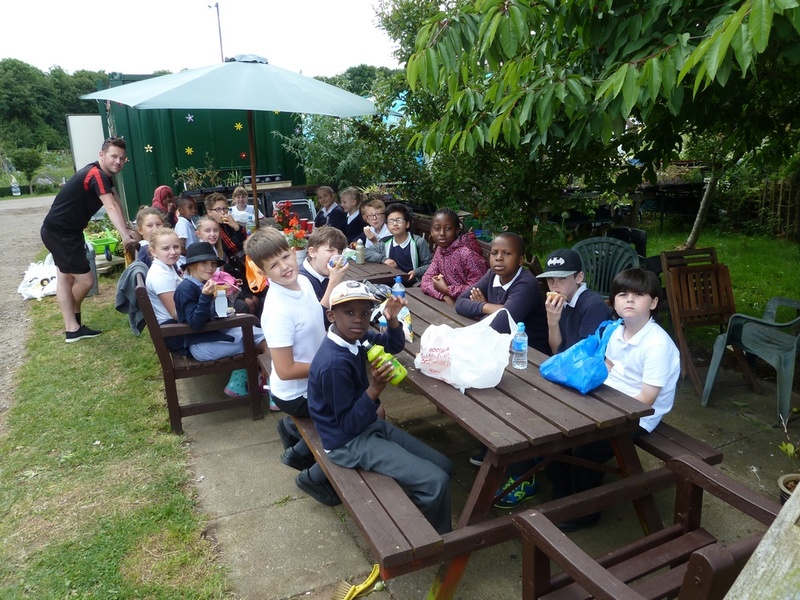 There was a second visit of year 5 students from Falconhurst School in Eaglestone, to the Patch Allotments on the 14th July. This was a follow up to the last excussion to the Patch in February when the allotments were still largely dormant. 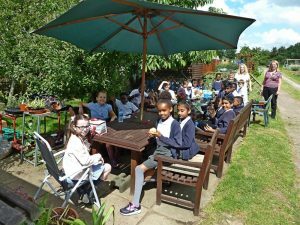 On this occasion the children were able to see the allotments in full bloom with the results of the allotment tenants hard work in evidence. 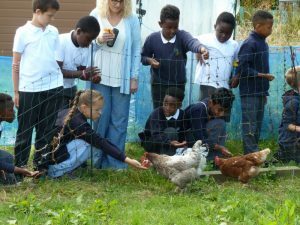 The children were challenged to identify the different crops growing on the plots. Some of the answers were surprising! Of course high in the list of things to do at the allotments for the children, was an opportunity to feed the chickens. This allowed them a close up view of the ever inquisitive birds and a chance to pet them Taking advantage of the sunny summer weather on the day, the children brought picnic lunches to have at the seating area by the Allotment shop. 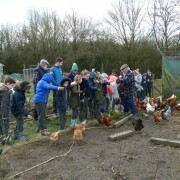 The visit was again hosted by the Chair and the Secretary of the Patch Allotments Association (PAA), Les Burgess and John Such. The visit will be used to provide material for classroom projects for the students.